Winter is the coldest season. Extremely cold, dry, very low humid and sunny, some days snowing in Seoul. Average temperatures between -10℃ to 8℃. Seoul city’s lowest temperature can be minus 20 degrees Celsius in winter. The temperature in suburbs like Gangwon province or Gyeonggi province generally colder than Seoul. Korea’s winter maybe too cold for foreigners who come from warm countries, especially seniors and children. Some travelers would like to spend more time in indoor places. Let’s see the 10 great indoor places to visit in Seoul during cold winter. Cafes are one of the good places to spend times in Seoul. 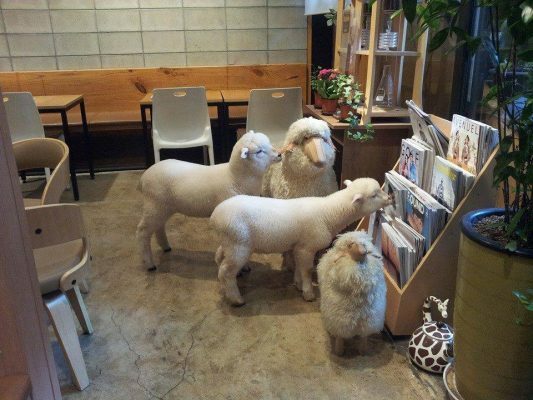 When foreigners come to Korea for the first time, they are surprised to find out many cafes in Korea. There are so many themed cafes with unique decoration and different concept in Seoul, also the warm beverages can raise your body temperature. There are also cafes dedicated to Charlie Brown, Hello Kitty, Sherlock, Horror movie dolls, the famous Kakaotalk and Line Friends and much more! 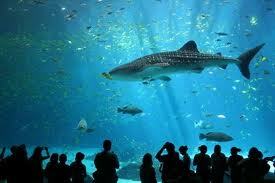 The COEX Aquarium consists of 183 display tanks and 90 breeding tanks with over 3,500 tons of water volume. 40.000 animals from 650 different species live here. There are 16 different theme zones and 20 rest areas. Interestingly, the COEX Aquarium has the highest number of sharks and the most variety of species compared to all other Aquariums in Korea. It is located in the heart of Gangnam and a great place for families and dates on a rainy day or winter. Winter is the perfect time to stock up on Korean cosmetics and winter clothes. Seoul bursts with great shopping malls such as the luxurious and beautifully decorated Lotte World Mall in Jamsil in the 554m high Lotte World Tower, the huge COEX underground shopping center in Gangnam, the famous Lotte Department Store in Myeongdong or the fashion paradise Dongdaemun District which includes all famous Korean and international clothes & cosmetic brands. If you really want to get a bang for your bucks, you can visit Seoul’s underground shopping centers such as the Goto Mall, where over 600 stores offer clothes, accessorizes, flowers and more at phenomenal prices. You can get everything in those malls and easily spend a whole day during cold winter. Jjimjilbang is deeply integrated in Korean culture. Locals enjoy going to the hot saunas, taking rejuvenating baths and getting body scrubs and massages. 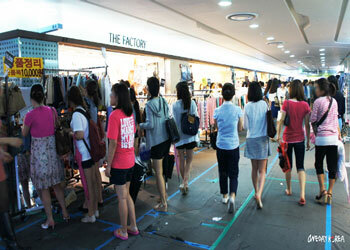 Many Korean women swear that regular visits at the Jjimjilbang are a secret to their beauty. It is a very unique part of Korean culture that you should experience when in Korea. With both indoor and outdoor parks, Lotte World is the perfect amusement park to go during cold winter with exciting rides, aquarium, museum, parades, festivals, shows and kids world! It is a theme park with a very long history and it was the shooting location for many dramas such as “Stairway to Heaven” or “Protect the Boss”. 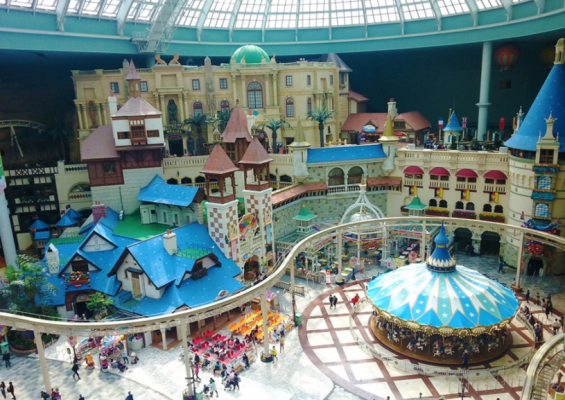 You won’t need to worry about the cold weather because Lotte world is composed of an Outdoor and an Indoor park. It’s filled with fantastic rides and entertaining for young and old! The basement also offer kids world and ice skating rinks. War Memorial of Korea actually is very huge. 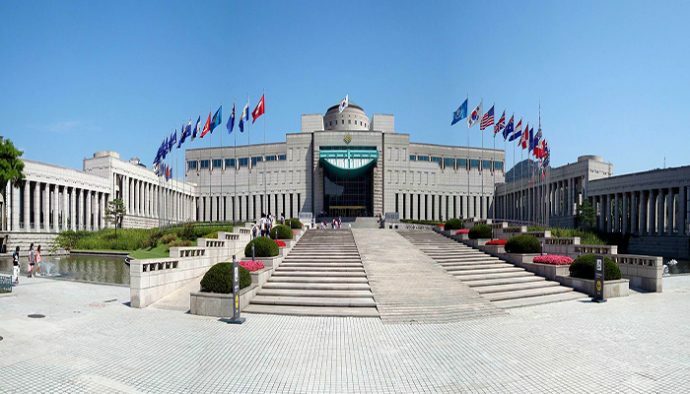 13,000 items are on display in its six halls under different themes: Memorial Hall, War History, Korean War, Expeditionary Forces Room, ROK Armed Forces Room, and Large Equipment Room, plus the outside exhibition area. Displayed are various weapons and equipment from prehistoric times, all the way to the modern period as well as paintings of battlefields and sculptures of notable warriors and An Jung-geun, who assassinated a former Resident-General in Manchuria in 1909. And also, about 100 large weapons are on display in the outside exhibition area on the lawns around the building. 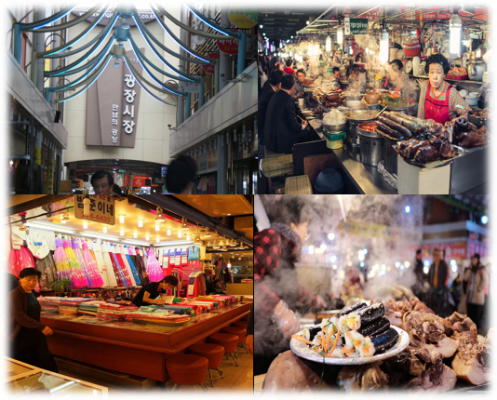 Unlike the shopping malls and supermarkets, the Gwangjang Market is the nation’s first market with over 110 years of history as well as one of the largest traditional market in Korea. It is located in the heart of Seoul. Up until the late 1800’s, Korean markets operated as temporary markets which means it only opened for a few days at a time. Gwangjang Market come to be the first permanently established market that was open every day in 1905. It was built in the purpose of reclaiming Korean sovereignty during the period of Japanese occupation. Today, it continues to prosper as a popular tourist spot and is famous for its street food and Korean traditional clothes. 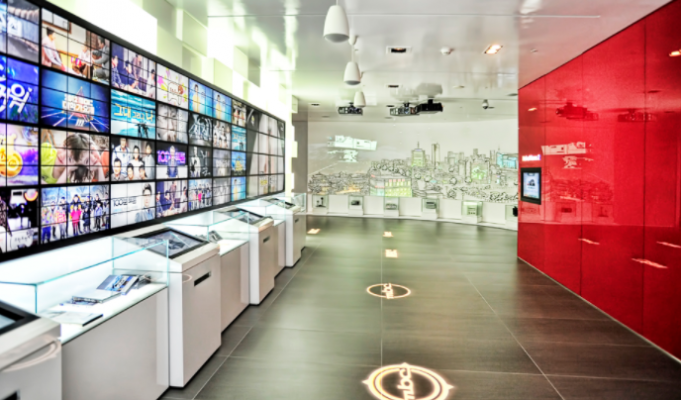 MBC World is located near Digital Media City Station, visitors can pretend to be a broadcaster and experience k-pop dance, VR, etc. 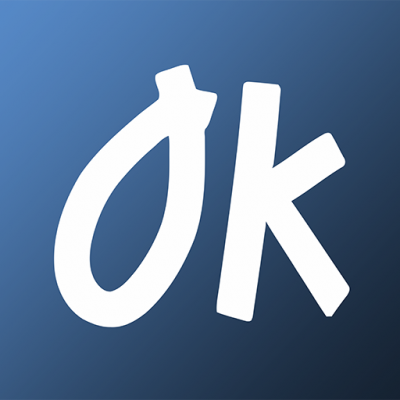 If you are lucky, you may meet some celebrities in there. Kimchi among the five healthiest foods in the world and people around the world became more interested in its because of the dramas. Kimjang, the traditional process of preparation and preservation of kimchi, was designated as a UNESCO Intangible Cultural Heritage. Travelers can visit the Kimchi Museum to learn about the different types and history of kimchi. 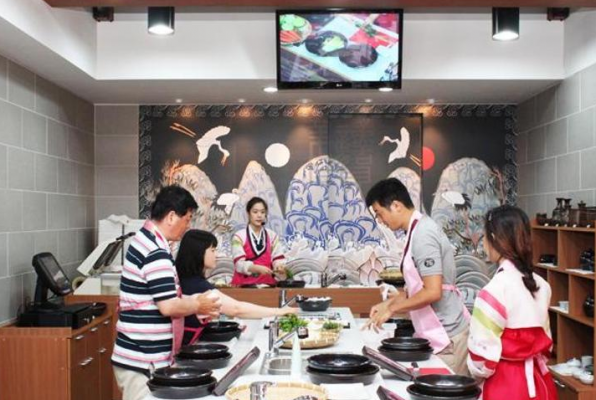 There are several Kimchi school and experience center in Seoul but require reservation. Check out the details on their website or contact us directly.